Being pregnant is such a beautiful and amazing time. To think that we can hold a child inside our bodies is unbelievable. What is not unbelievable, however, is the stretch marks that are often a result of pregnancy. 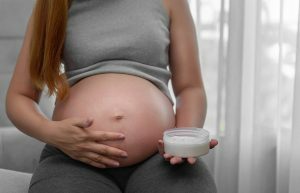 With so many harmful creams, sprays, and other products on the market that promise to get rid of stretch marks, how can you find one that is natural and healthy? Today we are exploring natural remedies for stretch marks. Before we begin, it is important that I include a small disclaimer. For any women out there who have pesky stretch marks, you know how impossible they can be to get rid of. Unfortunately, your body after having a baby will never truly be the same again. 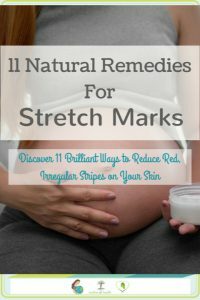 So though we are giving you tips and natural remedies to help greatly reduce the appearance of stretch marks, these remedies will not entirely rid your body of them. However, they will make them less noticeable, and help you to become more confident. Castor oil is a vegetable oil that comes from crushing the seeds of a castor oil plant. This oil has been known for having positive skin and health benefits and is often used in conditioners and moisturizers. Castor oil has also been used in recent years to get rid of age spots, stretch marks, lines, moles, and much more. Try applying castor oil to the area most affected by stretch marks for 5-10 minutes every day. Eggs have many benefits for our bodies, but egg whites are especially rich in protein and amino acids. Be careful when you are using this natural remedy because you want only to use the egg whites, not the entire egg. You can do this by whipping the whites of the eggs together in a bowl once you have separated them from the yoke. Apply the egg whites with a makeup brush or other utensil to the affected areas. Aloe Vera is a product that is used consistently for treating skin problems. You may have used this product before on your sunburns or dry skin. If you are looking to try something inexpensive and easy to get, and that is also natural; Aloe Vera would be a great option. It has been a fact for years that natural white sugar is one of the best and most effective ways to get rid of stretch marks. Sugar is known for exfoliating your skin. Take a tablespoon of the traditional sugar and mix it with lemon juice, and then apply it to your stretch mark area. Lemon juice is another excellent natural remedy for stretch marks because it is naturally acidic, it can help to reduce scarring. I know this might sound a little more bizarre than our other natural options, but it might be just what your skin needs. Potato juice restores minerals and vitamins to skin cells. This can be as easy as cutting a piece of potato in half and rubbing it on the affected area. 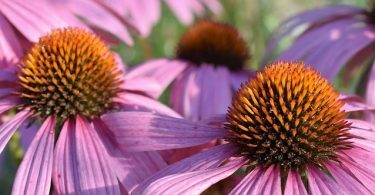 And it is another natural remedy that won’t break your pocketbook. You have most likely heard of collagen before because it is a protein commonly used in hair products to increase hair health. Though you can’t buy collagen, you can buy hyaluronic acid, which stimulates collagen. You can find this in health food stores or online. Instead of rubbing this acid on your body, you simply take a tablet every day. Want to smell great while you get rid of those pesky stretch marks? Then coconut oil may be the home remedy for you. Coconut oil has been studied and proven to take away redness and scarring from damaged skin. So, though it might not completely eliminate your stretch marks, it should reduce the appearance quickly. I would suggest using coconut oil shortly after you have given birth because it will reduce the redness around your stretch marks. Want a remedy that will help you sleep? Cocoa butter has been proven to help reduce stretch marks, and even make them disappear entirely in some cases. They suggest applying cocoa butter to the affected areas right before you go to bed each night. This could be an excellent remedy to use with other natural resources we have suggested above. Believe it or not, pure apricot fruit helps to rejuvenate skin and reduce stretch marks. You can create an apricot paste by crushing the fruit that you find at your local grocery store into a paste-like formula. Just make sure that you remove the seeds before you crush the fruit. It is suggested to leave this paste on the affected areas for 15 minutes each day. Unfortunately, you can’t get rid of your stretch marks by drinking a cup of coffee every day. But, coffee made into a scrub can. You can buy coffee scrubs online and at your local health store. Coffee helps your stretch marks because it can stimulate the degradation under the skin. It also contains helpful antioxidants. By scrubbing this on your skin each day, you will increase blood flow to the stretch mark areas, which will, in turn, lighten stretch marks. Vitamin E is an excellent nutrient that nourishes and heals skin quickly. Many people have reported that Vitamin E has reduced scarring, improved their complexion, and smoothed their skin. 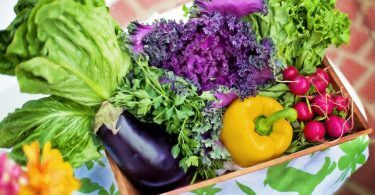 You can find Vitamin E in almond oil, peanut oils, sunflower seeds, spinach, broccoli, and vegetable oil. As you can see, there are many natural remedies for stretch marks to help you reduce their visibility. Remember when you get frustrated with your stretch marks, that being a mother is well worth it. Try these natural remedies for stretch marks out and let us know which worked best for you! Rachel Watson is the website manager for OurStart.com. OurStart is a lifestyle blog for women in their 20s and 30s. They regularly publish articles around pregnancy, parenting, relationships, and weddings. She is a recent graduate of Grove City College, enjoys exploring cute cafes, writing cards, and playing with her miniature schnauzer in her spare time.